Nigeria’s Great Green Wall Project aims to address the negative social, economic and environmental impacts of land degradation and desertification in Northern Nigeria. 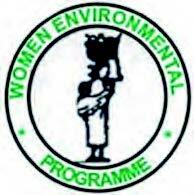 Over 110 women in 11 states (Adamawa, Sokoto, Katsina, Gombe, Kano, Borno, Yobe, Kebbi, Bauchi, Jigawa and Zamfara) have been trained on constructing 1500 energy efficient cook stoves from local materials to reduce the burning of biomass and the degradation of vegetation. Women’s capacities are also built on creating alternative sources of income, so as to raise their economic autonomy. Climate Impact: The use of energy efficient cook stoves reduces fuel wood consumption – and CO2 emissions – of households by 80%, thus significantly reducing deforestation. This project additionally foresees the replantation by the governement of different species of trees on a territory – the “Great Green Wall“ – that will be about 1,500 km long (East-West) and 2 km wide (North-South), in the 11 states faced with the highest desertification rate in Nigeria. Gender Impact: Women are crucial for adopting green technologies for their household and spreading good practices within their communities. This initiative empowered them with important new technical skills, and new leadership roles in their villages, as they actively contribute to mitigating climate change and fighting desertification. The project significantly reduces women’s unpaid labor burden, creating opportunities for revenue generating activities. Finally, it improves their health by reducing indoor air pollution. Scalability /replicability: WEP has developped a technical training module that can be easily replicated. Using local materials also ensures an affordable upscaling of the program. WEO intends to extended this concept in the coming years to the Middle Belt and South Nigeria, where climate change is severely impacting the livelihood of people, especially women, who often risk their lives when going long distances to get fuel wood. The program could be expanded to many other similar regions in Africa and to other continents.